List of what to bring and some extra information provided by Coach Dusty. Also, not listed but recommended to bring are any braces or pads (keep in mind these must not show when you compete) and any tiger balm and such. Any money spent on hotel, gas and registration can be reimbursed! If you buy gas, PLEASE get a receipt and keep it for our records. Keep track of how much YOU PERSONALLY spent on gas, as each person’s reimbursement check will be slightly different. If you decide to give all your gas receipts to your driver, write your name on the receipts for gas you paid for, so we can give you back the money you spent! Remember that we are representing NAU, the NAU Wushu Team, Arizona, Jade Moon Wushu Academy, and our coaches Dusty and Coach Robert! Refrain from profanity and any discussion of drinking, please. Avoid inappropriate gestures. Above all, speak well of your colleagues both new and old! Collegiates is a wonderful opportunity to meet new wushu athletes! Be friendly and polite and you will make great new friends! Also remember to be very polite to any volunteers and thank them for their time and effort. Last but not least, remember that you are all amazing! I am so SO proud of all your hard work and effort! You be will great! Give it all you’ve got, leave everything on the floor! JIAYOU NAU! Our wushu is looking good but as the event gets closer, travel items need to be addressed. Most if not all of this information has been shared before hand, this post is just condensing it all to one area for review. Below is a copy of the list that was made for travel arrangements and room arrangements. Make sure you know who you are riding with and what time you are leaving. Coach Dusty requests that no one leave later than 10:00am on Friday, April 19th. Institutional Excuses are available. Remember to help out your driver with gas money on the way to and from California. NAU Wushu team was granted full funding for the trip. Woohoo! This means registration, hotel, and travel will all be reimbursed AFTER the trip. So bring money and please keep all receipts. This is the only way you will be able to be reimbursed. Snacks are recommended for the trip as well as during Saturday as it will be a long and busy day that requires much energy. Please avoid coffee, soda, energy drinks and such the day of the competition. As well, drivers, please text Hannah, Lianna, or Dusty of your whereabouts during your trip and any stops you make. If you have any questions please feel free to contact Coach Dusty and/or Coach Robert. Updates will be made as more information is added as well as a possible recommended packing list. Reminder: When in California you are representing Northern Arizona University, the Wushu Team, Dusty, and by extension, Jade Moon Wushu Academy. 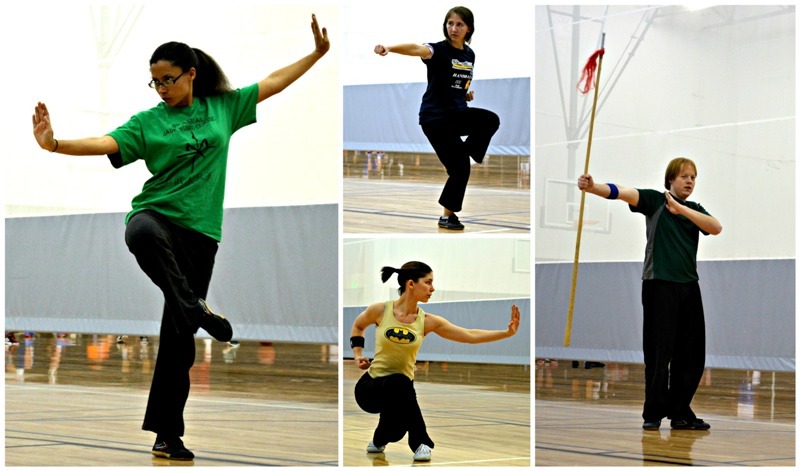 While other teams are free to conduct themselves as they see fit, NAU Wushu Team has some expectations. We have worked hard for this competition and we will all do well. Remember to be safe and enjoy yourself. Jiayou NAU Wushu! Update: Make sure to bring your student ID as you may need this to verify you are an NAU Student. Photo of Sean Rooney doing his personal spear form. Photo courtesy of Genevieve Burns. – Eyes OPEN on ‘hard’ movements – punches, hammer-fist, etc. – Where are you looking? How are the body lines? – Where should you move faster? Where should you slow down? – Check your arms and stances – are stances low enough? Are arms straight? – OPEN your eyes on hard movements! – Do you FEEL INTENSE? 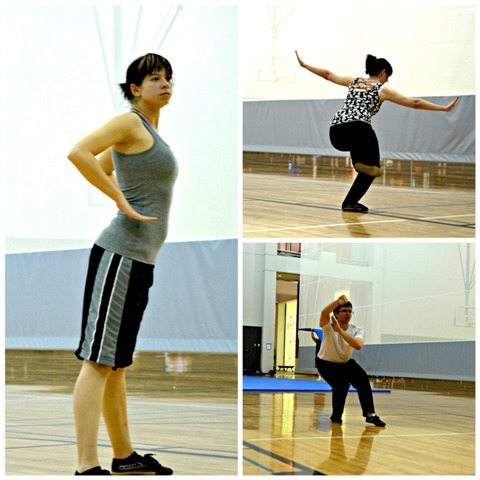 What Has the NAU Wushu Team Been Up To? Back from Spring Break and so much has happened! Our team coach, Dusty Schmidt, competed in the Berkeley Tournament and came home with a Bronze in Compulsory Longfist and a Gold in Contemporary Longfist. We are all very proud! The Wushu team participated in International Week hosted at NAU with two demos in the same day and performed spectacularly. And of course, everyone has been training hard for Collegiates in six days! We have been working on group sets, personals and conditioning. Everyone is looking forward to leaving the 7,000 ft elevation to compete at sea level. The team was also given an opportunity to receive a seminar from Coach Robert of our sister school in Phoenix, Jade Moon Wushu Academy, on intensity. Notes from that seminar will be posted soon. 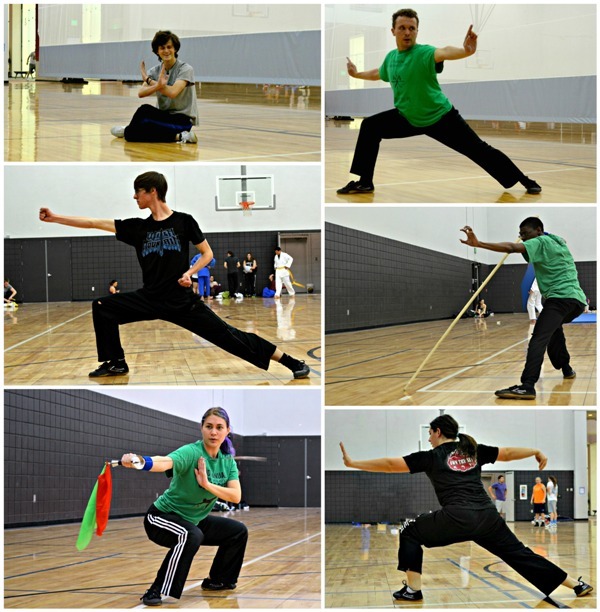 Make sure to keep checking back to see what the NAU Wushu Team is doing. Growing quickly and training hard, we are going places! Jiayou! To get everyone pumped up for Collegiates here’s a video prepared by the hosts, UCSD Wushu team. Who doesn’t want to do wushu in the ocean?